Let us not wallow in the valley of despair, I say to you today, my friends. 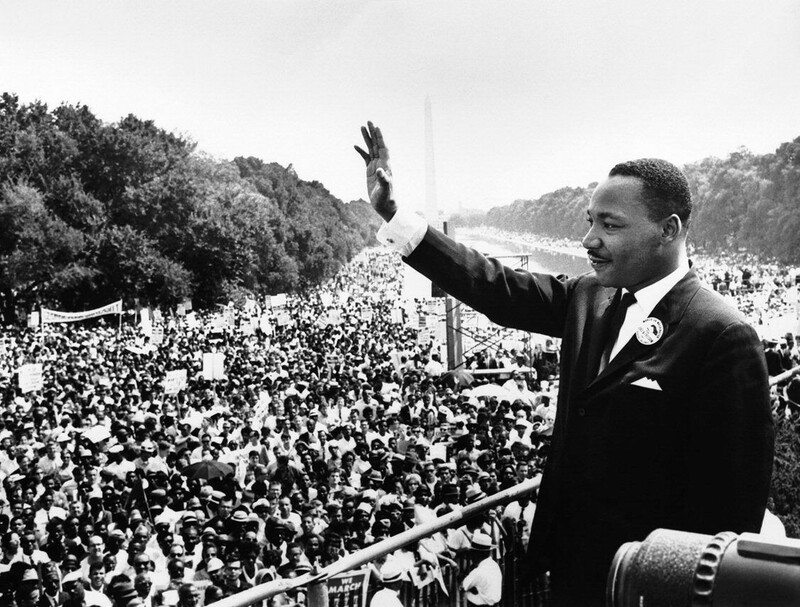 And so even though we face the difficulties of today and tomorrow, I still have a dream. It is a dream deeply rooted in the American dream. This is our hope, and this is the faith... With this faith, we will be able to hew out of the mountain of despair a stone of hope. With this faith, we will be able to transform the jangling discords of our nation into a beautiful symphony of brotherhood. With this faith, we will be able to work together, to pray together, to struggle together, to go to jail together, to stand up for freedom together, knowing that we will be free one day. And if America is to be a great nation, this must become true. And so let freedom ring from the prodigious hilltops of New Hampshire. Let freedom ring from the mighty mountains of New York. Let freedom ring from the heightening Alleghenies of Pennsylvania. Let freedom ring from the snow-capped Rockies of Colorado. Let freedom ring from the curvaceous slopes of California. But not only that: Let freedom ring from Stone Mountain of Georgia. Let freedom ring from Lookout Mountain of Tennessee. Let freedom ring from every hill and molehill of Mississippi. From every mountainside, let freedom ring. Celebrate the life and work of Martin Luther King Jr. with the 11th Annual Bowl of Beans Benefit on Monday, Jan. 17, from 5-8 p.m. at the Arcata Community Center (321 Community Park Way). Enjoy a dinner of rice and beans and take home a hand-made bowl. Dinner is followed by musical performances and storytelling. Admission is $5 at the door with proceeds benefiting Arcata Recreation's Arts in the Afternoon Program and Arcata Elementary School's Art Program. For more information, contact Arcata Rec at 822-7091.